As I was strolling through the city of Rome, I was thinking about happiness and how it always seems to come and go. I was imagining it to be a profession, and realized that if it were, it would be the hardest work. Even having a dozen degrees wouldn’t be enough for guaranteed success. Because just as with a dentist, regardless of the amount of diplomas on the wall; you could still be genius or a dud. 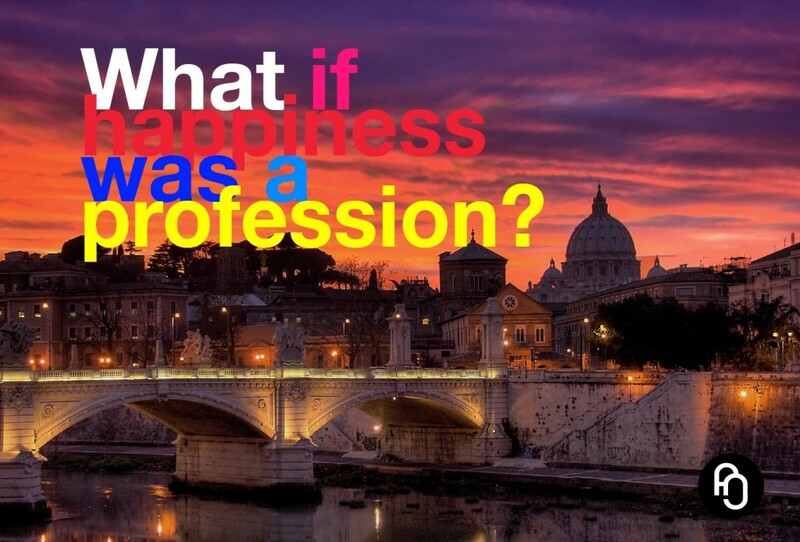 What if happiness was a profession? Just like a Doctor of Medicine, you’d need to master the skill of improvisation, finding new cures against unexpected attacks by unfamiliar viruses of depression. Like a Lawyer, you’d need to be an excellent debater, always able to convince the jury that the things that cause sadness are in fact opulent gifts of life. Like an Engineer, you’d need the talent to create fantastic theorems for building happy pieces of reality starting from what already exists. And you’d need the courage of a Physicist and dig deep into the core of transformation to discover the atoms of which happiness is constructed. You’d also need to have patience, just like an Astronomer observing the evolution of stars. You’d need the generous mind of an Architect to conceive forms and shapes that enrich empty spaces with beauty. And like a Microscopist, you’d need to look beyond what you can see with the naked eye, because too often that’s just inadequate. If happiness was a profession, you’d need to be cool like a Poker Player, bluffing yourself through life’s challenges. Like a Saint you’d have to understand, love and forgive all that comes in the way of your work of happiness. Like a Poet you must create beautiful new objectivities, by reinterpreting poor realities. You’d have to play it like an Actor and digest and purify it like a Writer. You’d need to be accustomed to poison like an ancient King and be able to turn lead into gold, just like an Alchemist. And most of all… just like a Yogi, you must be able to ignore provocations, because provocations cause anger, and anger… is a reason to be expelled from the register of the happy-‘professionals’. So clearly, if happiness were a profession… it would be the craziest, most demanding job. Ridiculous even. And then I stopped walking and smiled. Because although it’s hard work at times, happiness is not a profession. It’s a force of energy, always there for us to tap into without any effort. 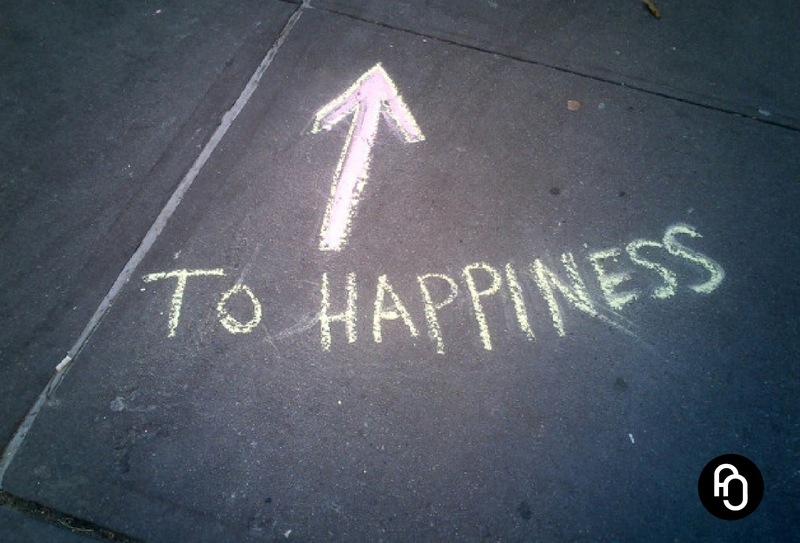 And maybe that’s the hardest part of happiness: to not work for it at all, but to just let happiness… happen. (This piece is an excerpt of Silvia’s upcoming novel, edited for focusNjoy by Stijn Ouwehand). Silvia Bilotti was born close to Naples but currently lives in Rome, Italy. She works as an actress in theatre and television productions, she’s a singer and writer. She writes poetry and “Il Canto della Dea” (The Song of the Goddess) is the title of her last anthology. Her first novel “Apnea” is going to be published and she is currently working on her next novel and a new anthology. 1 Bericht on "Guest Column # 01 by Silvia Bilotti"